We live in a time of confused priorities, especially when it comes to our kids. Our own high hopes for our kids’ futures may be the very things sabotaging their real chances of success. Consider that a comprehensive, even genius-level knowledge of technical concepts won’t actually get them anywhere if they can’t navigate the foundational skills of perseverance, interpersonal communication, and real-life problem solving that they’re bound to find in the workplace. Their impressive grades in school won’t exempt them from their responsibilities for these soft skills, and the technical classrooms—however advanced—won’t teach this indispensable skill set. Kids can get these kinds of skills from activities like summer camp, where they are the heart of the community and they are constantly called to navigate challenges. Here, they can believe in the value of their contributions, and they learn from experience the real impact of their actions (or inaction) on the community. The same can be said for real-life learning experiences at home—if kids are, in fact, offered these opportunities to learn responsibility. When it comes to schoolwork, the greater meaning children give to academics comes from the beliefs and values they adopt from you and the pressure they feel to compete with their peers and with themselves. This packaged school career isn’t offering opportunities for them to experience real-world responsibilities—at least not in a way that is empowering. The practical translation of their academic efforts boils down to numbered or lettered grades and whether or not they’re deemed worthy of admittance to certain colleges and other programs. Here, at camp, kids learn the real value of small and consistent contributions to their cabin families and the larger camp community. Chores as simple as setting the table or emptying the garbage bring kids in touch with the efforts that give our vibrant camp family momentum. Here, kids are surrounded by campers also engaged and committed to their responsibilities, which are fair and balanced, thanks to our chore wheel system that rotates regularly and in a way that kids can clearly see. The system is accountable to them, and they learn what it means to be accountable for their part in it. All campers are worthy and important components of the whole; as leaders, our language and our actions stand by that truth. It found that professional success in life […] comes from having done chores as a kid. And the earlier you started, the better. That a roll-up-your-sleeves-and-pitch-in mindset—a mindset that says, “There’s some unpleasant work. Someone’s got to do it. It might as well be me.” A mindset that says, “I will contribute my effort to the betterment of the whole”—that that’s what gets you ahead in the workplace. Don’t let your fears about their potential pain and failure lead to robbing them of rich life experiences and opportunities for growth. Do offer your unconditional love and support, so they don’t feel alone as they approach unfamiliar and intimidating experiences. Don’t think that unconditional love and support means doing everything for them. Do let them experience all the nuances of living fully and the sense of pride and enlightenment that comes with accomplishing something on their own merit. Don’t ever give in to thinking that holding the line with chores isn’t worth the effort when your kids resist and complain. Avoiding this growth opportunity likely means their resistance and complaints will simply lie dormant until they start college or their first career. Do make it clear that your kids’ responsibilities to the home and the family are just as important as your own because the family is healthiest and happiest when you’re all working together. Don’t leave your kids high and dry to fend for themselves on the basis of building character and self-efficacy. Don’t deny them your guidance, wisdom, and cooperation. Do stay present and take advantage of opportunities for new conversations that arise as they enter this unfamiliar territory of greater responsibility. Do work together with them through some struggles, so they are better equipped and confident to try on their own the next time. You may say that those lessons can wait—that they are kids for now and we shouldn’t be putting such weighty burdens on their shoulders. But if they don’t start learning these skills now, then when? When the stakes are higher and they’re approaching life’s challenges empty-handed, they’ll still be kids relative to the pressures they face. Starting now, you have the chance to introduce these responsibilities gradually and in a way that helps them embody the qualities of an awakened citizen as a part of their growing identity. You’d be so surprised by the things your kids are really capable of. At camp, we still find ourselves in awe, even though we’ve become used to kids stepping up with amazing ideas and creations and kindness all the time. They’re capable of even more when they have your belief and trust behind them—not just your support for their abilities to excel in activities, but also your support for the passions that drive them and make them who they are. It’s never too early for kids to start connecting with the responsibilities that support their very own experiences. It’s never too early for them to start engaging with the responsibilities we share that make and connect our communities. Get in touch to find out more about how your kids can practice soft skills with purpose at Kennolyn Camps. 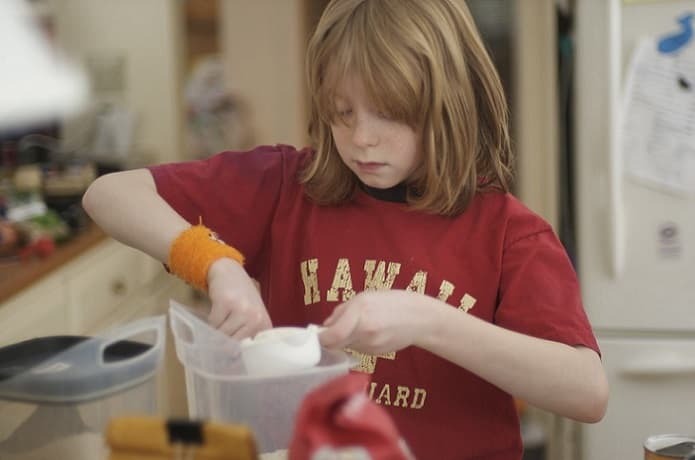 We feel strongly about empowering kids in their chores and other responsibilities to the community and to themselves, in addition to fun and adventure.